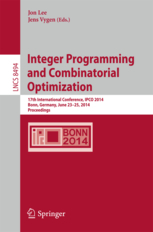 The 17th Conference on Integer Programming and Combinatorial Optimization (IPCO XVII) will take place from June 23 to June 25, 2014 at the University of Bonn, in Bonn, Germany. It will be organized by the Research Institute for Discrete Mathematics. The conference is preceded by a summer school (June 20-22). On Sunday, June 22, we invite all IPCO participants to a welcome reception at the Research Institute for Discrete Mathematics. On Tuesday, June 24, we will have a boat trip with the conference dinner. 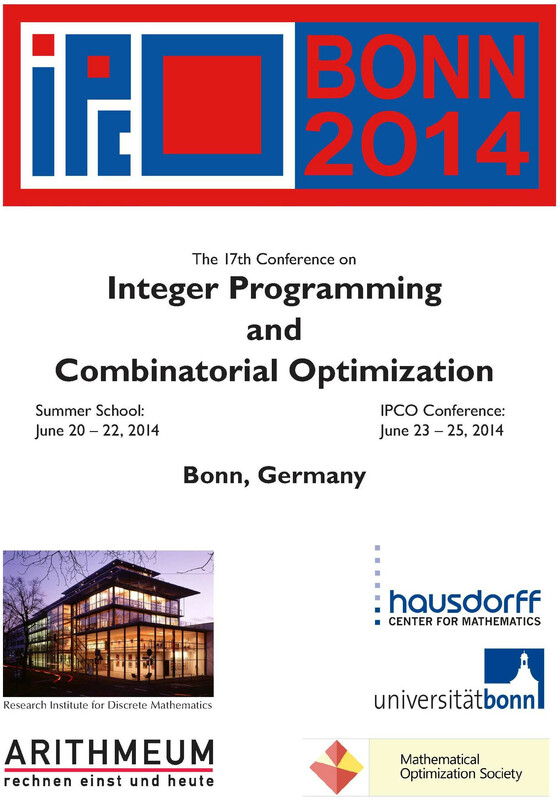 The IPCO conference is under the auspices of the Mathematical Optimization Society. It is held every year, except for those in which the International Symposium on Mathematical Programming takes place. The conference is a forum for researchers and practitioners working on various aspects of integer programming and combinatorial optimization. The aim is to present recent developments in theory, computation, and applications in these areas. For questions or suggestions, please contact Jens Vygen or Stephan Held. June 23 - 25, 2014. 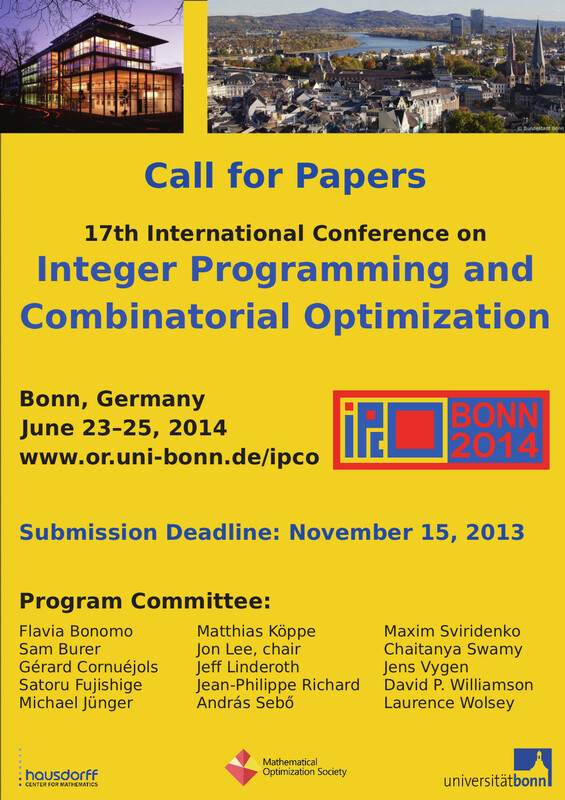 © 2013 - IPCO 2014 - The 17th Conference on Integer Programming and Combinatorial Optimization. All rights reserved.